“HEBEI TIANYI” Located on Hebei province, beside capacity Beijing City . Mainly brand is “BAMBERS” ,including baby diaper ,baby pads, adult diapers and pads and adult Nursing pads . 1-To pursuit perfectness for our customers, employees and society. 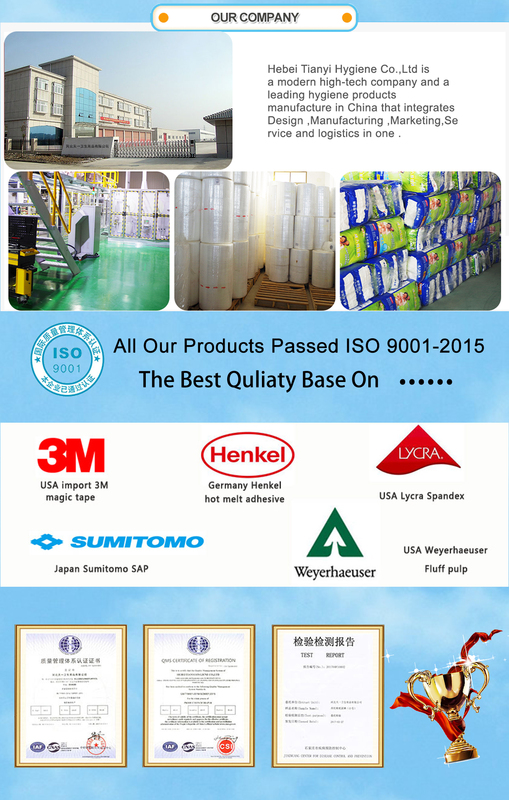 2-To provide the best price and technology, high quality, fast delivery time and good service for our customers. 3-To create good working environment, successful career and adequate working experience for our employees. 4-To be a socially responsible and innovative enterprise so that we can associate our customers and employees to pursuit success. Sincerely welcome to OEM or ODM Business .